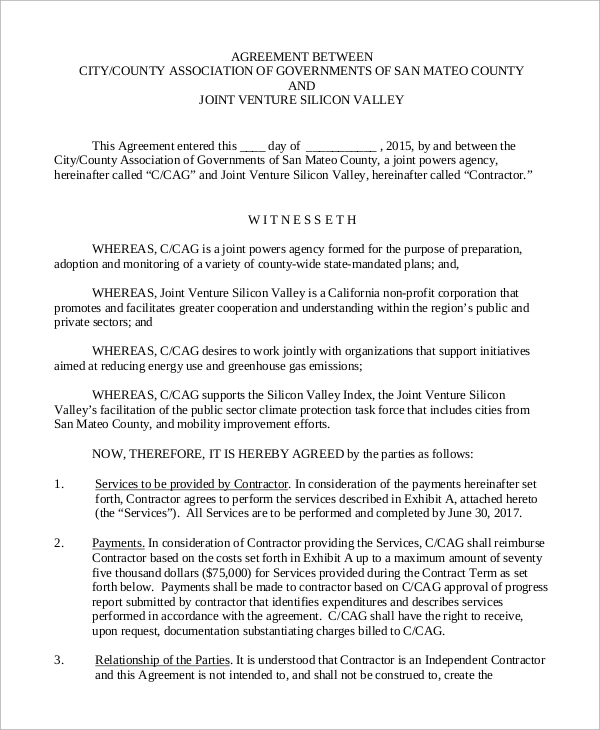 A joint venture agreement is an agreement between two or more individuals or firms to buy and sell products and services by cooperating between themselves to equally mitigate any chance for loss arising out of any untoward incident. A joint venture needs to be distinguished from a partnership. While a partnership may be perpetuated endlessly through a change of partners or that of the partnership deed, a joint venture agreement is a partnership undertaken to lessen the losses arising out of business transactions for a short period. 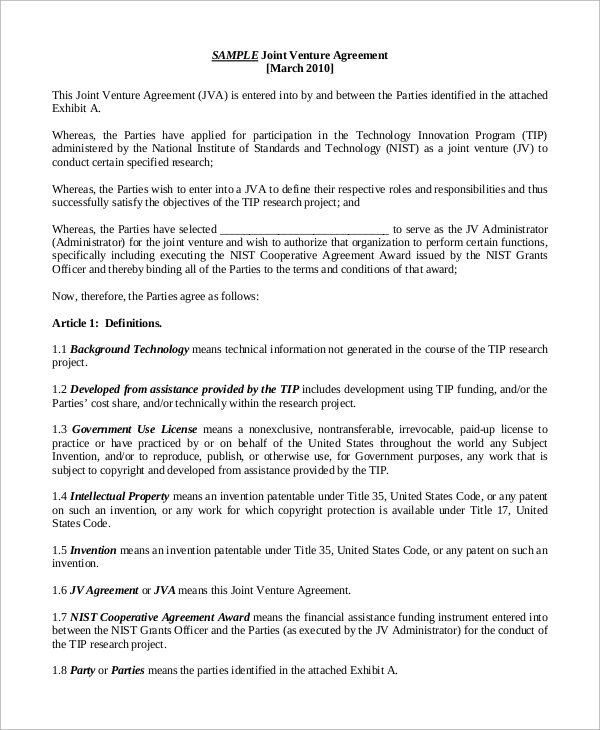 Given below is a list of sample joint venture Sample Agreements for Free. A joint venture agreement for the transactions about real estate business operations is one of the most common forms of joint venture agreement. Usually, the partners seek to locate, buy and sell a property. A joint venture agreement is a short-term, temporary Partnership Agreements between two or more parties, and the parties can be individuals or firms or any combination from that place. Profits and losses are also shared accordingly. A joint venture agreement for a construction project usually involves the procurement of raw materials and machinery and the construction of a building in response to a tender or contract issued by the authority that wants the building to be constructed. 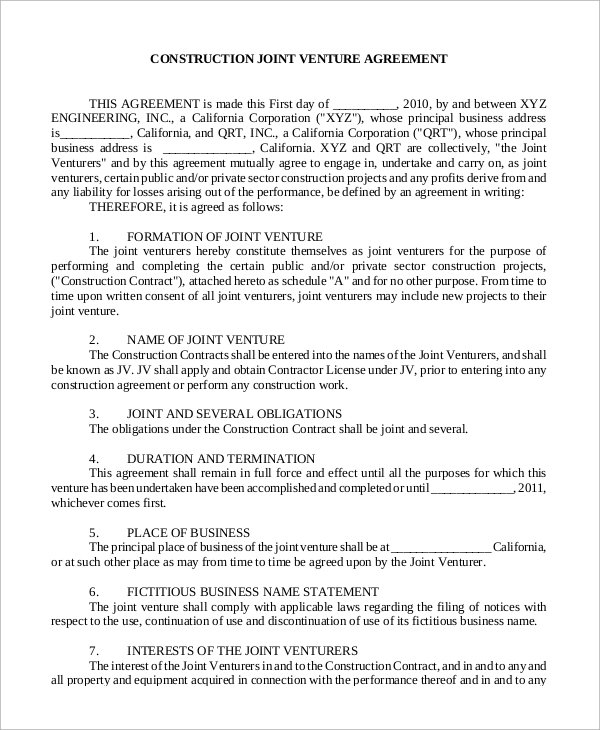 The listed Sample Joint Venture agreement forms are useful for individual businesspeople as well as business organizations who wish to work together temporarily to meet common objectives and lessen the losses when they arise. Joint ventures are an excellent way to enhance the capabilities of individual businesspeople and firms. 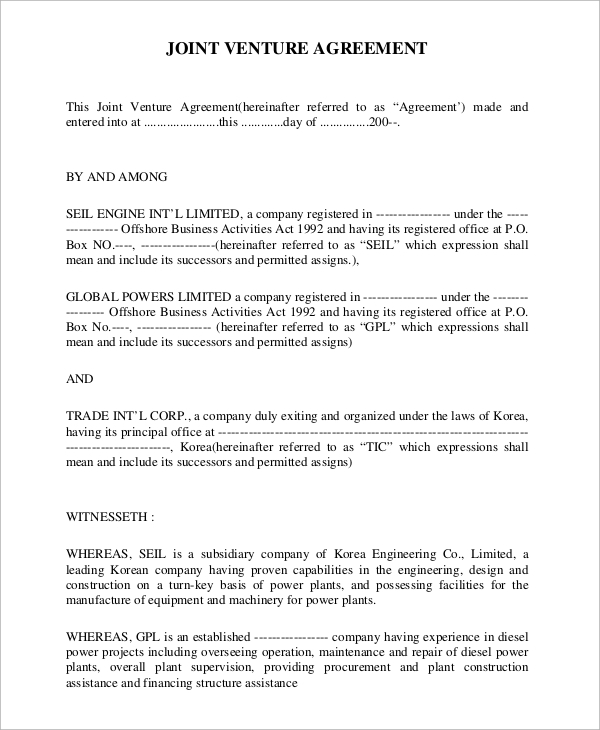 An international joint venture agreement is a joint venture agreement that is undertaken by various multinational corporations on an international basis. 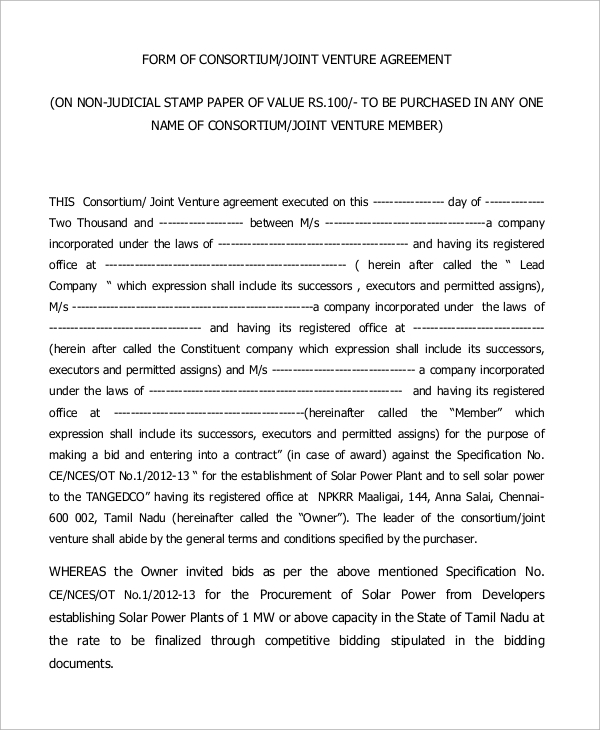 Generally, these joint venture agreements are usually in the form of tie-ups. 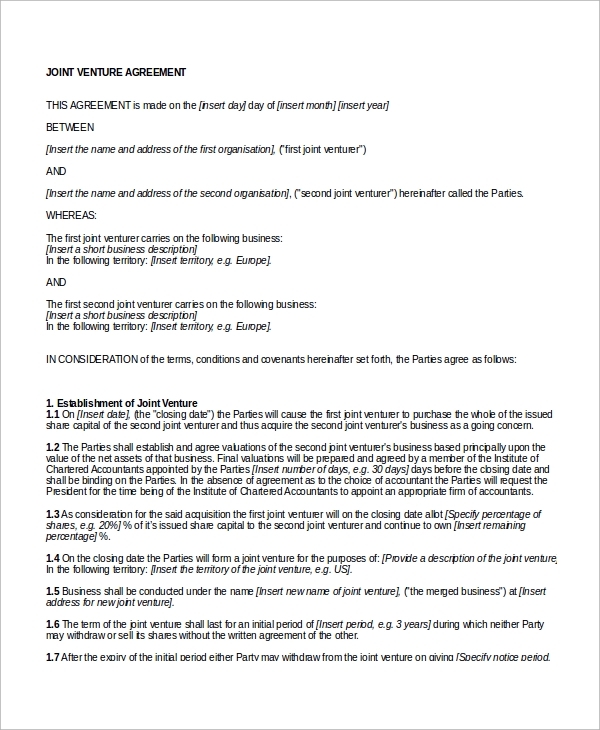 A joint venture agreement form usually consists of the names of the participating or contracting parties that constitute the nature and purpose of the joint venture agreement. 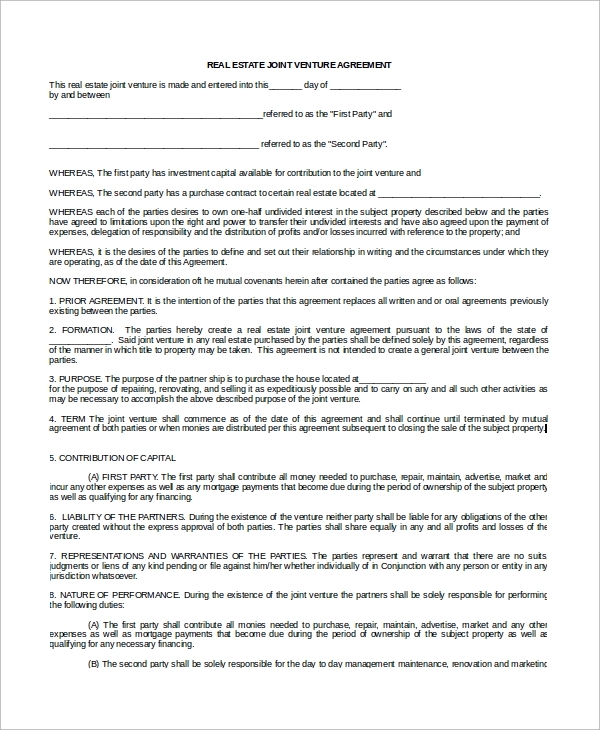 The sample joint venture agreement forms are aimed towards individuals and firms who wish to conduct business transactions by pooling in the resources at their disposal and allowing them to prosecute business operations with the benefit of the losses being shared between the contracting individuals or firms that would make up the joint venture agreement. You can also see the Confidential Disclosure Agreements. 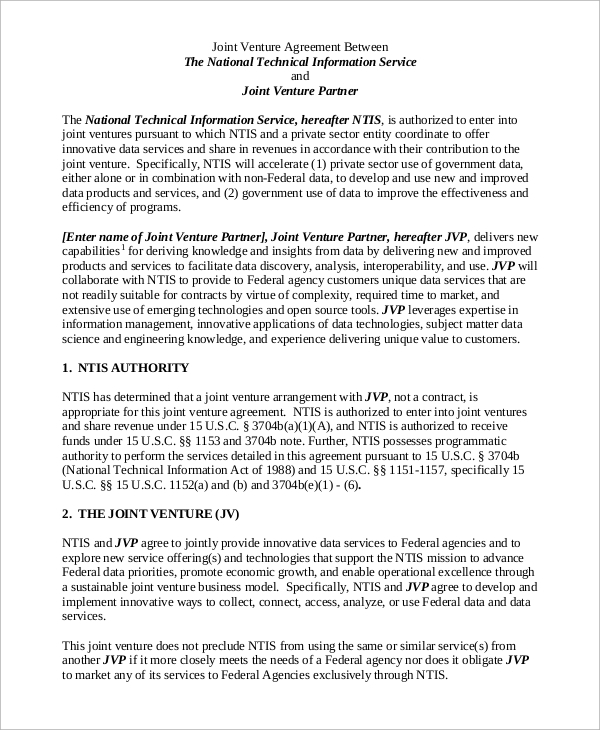 We have a large number of Sample Joint Venture Agreement form templates. Select the one you prefer the most and utilize the template as a joint venture form itself- remember, the templates are completely editable, and they can be filled in with the necessary provisions by the user. 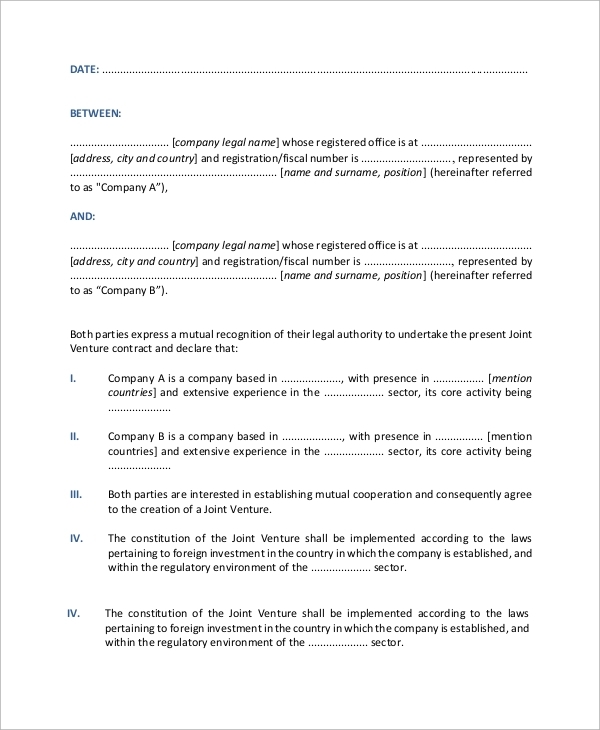 Likewise, the sample templates can be used as a guide for you to create your joint venture agreement form.